This is one of Europe's largest rip-rap dams. The Thissavros hydro-electric project comprises a rip-rap dam of 175m maximum height and 10,000,000m3 total volume, including a 6km gallery network for the injection of concrete and drainage. Approx. 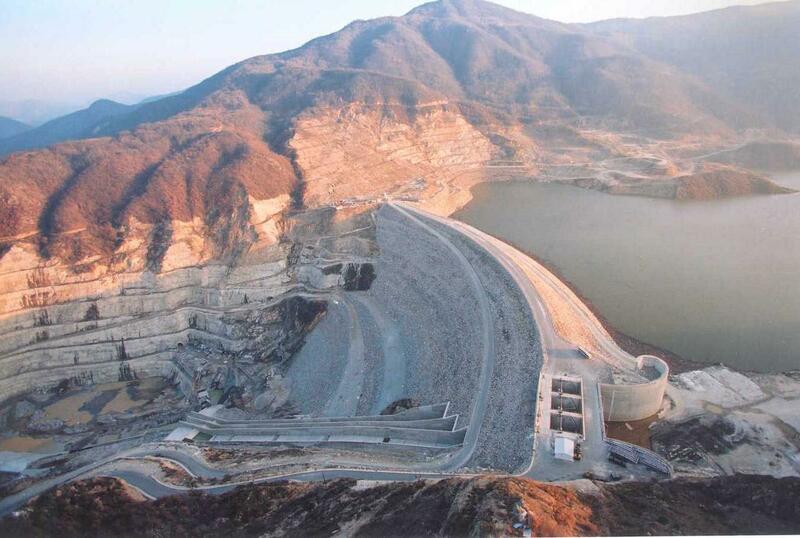 220,000m3 of concrete was required for the construction of the spillway. More than 15,000,000m3 of various materials were handled and laid over 300,000m3 of concrete.